They were the team that turned finally turned potential into performance last season. 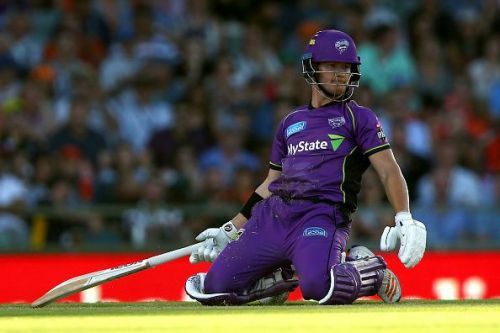 And this season the Hobart Hurricanes will be looking to go one better as they search for their first Big Bash League title when they get their BBL 08 campaign underway against the Brisbane Heat in Brisbane. Electric batting at the top, explosive, smart bowling and a well-rounded fielding unit led to the Hurricanes making their first final since 2013 last season, where they lost out to the Adelaide Strikers. However, after failing to make the semi-finals for many years, the Hurricanes appear to have finally found a nicely balanced squad that converted their ability into results. One of the mainstays of the squad in the past few seasons has been the left-arm spinner, Clive Rose. Rose came over from the Melbourne Stars in 2015 and has found a role for himself in the Hurricanes team, typically bowling up front in the powerplay overs. 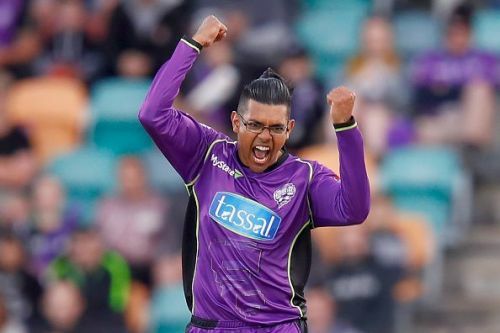 Of his 30 T20 matches to date, he has played 13 for the Hobart side, taking 10 wickets at an economy rate of 7.90, whilst also being a capable lower-order batsman. Having moved from Victoria to Tasmania this season, it has also allowed him to create a base in Hobart and ready himself for the competition. 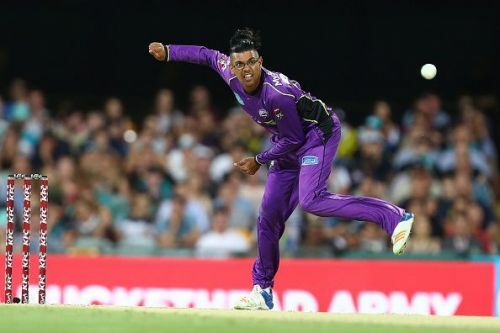 Ahead of the Hurricanes' tournament opener, he spoke to Sportskeeda about the team and his own preparations coming into another massive BBL summer ahead. How have things been going for you and the team in the lead up to BBL 08? Personally, things have been going pretty good. I've had three or four weeks where I have been able to focus on just my T20 game lately, after coming off some red-ball cricket. I guess it's almost been a mini pre-season for me in that sense, having that extended period of just playing limited overs cricket, and getting my body in the right shape to play. We've had a couple of warm-up matches against the Auckland Aces from New Zealand over the past couple of days, as they prepare for their own domestic T20 tournament (the Super Smash) as well. I've been able to bowl my full quota of overs in both matches, and also bowling at the top of the innings. I felt good after those matches and they were a good hit out for us (with both teams fielding full-strength sides). The team is in a good space and have been preparing well, with all the boys playing at the moment. Both of our overseas players (Jofra Archer and Tymal Mills) have just come back from the T10 tournament (in the UAE) so for them, it's been a good lead-up. George (Bailey) has been getting some runs, the same with Matthew (Wade) and Alex (Doolan), so our top order is in some good form. The squad still has a pretty settled look to it from last season; what do you make of the changes? It's a pretty similar squad to last year. Even though we lost Cameron (Boyce), who has performed pretty well for us over the last few seasons, we picked up Johan Botha. In terms of bowling to left-hand batsman, they were the ones that were getting away from us last year, and he's an excellent off-spin bowler in this format. For him to bowl to those left-handers, they find him really hard to get away, and I think he will complement our bowling attack really well. And then having James Faulkner coming into the side, that's a nice swap for a player the caliber of Dan Christian. How important was it to retain the same overseas players in Jofra Archer and Tymal Mills? Jofra performed really well for us last year (17 wickets at an average of 22 and economy rate of 7.90) and it's unfortunate we might lose him at the back end of the tournament as he's now qualified to play for England and may well get selected. But he bowled really well in the warm-ups against Auckland, and his batting all the same. It's also great to have Tymal back. He's been able to play more matches this year so has some cricket under his belt, and also bowled well against Auckland. So I'm really looking forward to having both guys back in our set-up for the tournament. What do you make of Aaron Summers, who can bowl up to 150kph, to go along with Mills and Archer? Aaron isn't in the squad for the next game but he's a young kid and he's still trying to work out his best time to bowl and what to bowl at certain stages. He's working out his game at the moment and he's only going to get better and better, which is really great to see. He can bowl over 145 up to 150kph and has a really good slower ball, so his game is coming on and I'm really looking forward to seeing him play this year. You've been with the Hurricanes for a few seasons now. How do you find the team environment? I do really enjoy it. There are a lot of great people and great staff around. Our coach Adam Griffith has been really good for me; I learnt a lot from him last year and am continuing to learn a lot more this season as well. It's a good environment - it's competitive and the older heads we have around the team have been great in terms of utilising their experience and the way they talk to the rest of the players, especially some of the younger guys coming up. I've learnt a lot and gotten a lot better since I've been playing for the team, especially since I've been able to play more games as well. Your role in the team - you've been bowling quite a bit at the top of the innings? Is that where you will be positioned again this season - bowling a couple of overs or so in the power play and maybe a couple through the middle of the innings? Yeah, that is my role at the moment; so I will probably bowl one or two overs in the powerplay, maybe even three if I'm going well. And then bowl one or two out of the powerplay overs. I have been talking to Adam about how I am doing and how I go about things, and he does want bowlers who can bowl at the back-end. And to that effect I back myself to bowl anywhere during the innings including at the death, not only at the front end, so wherever I am required to bowl I will bowl there and am more than comfortable in doing so in any situation. Have you been working on anything particular during the off-season with regards to your bowling? Perhaps working on a specific delivery or something you want to improve on from last season? I think I understand my game more in the way I bowl, and what works for me and what doesn't. And now it's about being more consistent in the execution, consistent in my lengths and consistent in my variations when I do bowl those deliveries. Just backing myself and trusting my gut instinct. For example, if a batter is moving then figuring out what to do in that moment. So it's almost a matter of staying a step ahead of the game at all times. More simply it's about putting in six good balls per over, rather than five good balls and one bad ball that gets hit for a boundary. And adding that up to 24 good balls over a four-over period, taking out those two or three bad balls which get hit for boundaries. It's interesting you mention that, because hearing Shane Warne on commentary the other night during a BBL match, he said you cannot afford to bowl the same ball consecutively to a batsman otherwise they will figure you out quite quickly. You have to vary everything you do almost every delivery. That is right. You have to change it up constantly otherwise the batsmen will line you up. If you bowl two of the same ball, on the third the batsman will decipher your rhythm and your timing. He might change up the way he bats to customize to what you are doing, so you have to change it up and bowl some different balls, and also just be willing to be courageous too with your approach. The last couple of seasons Hobart had the potential as a good side but weren't able to capitalize on that in terms of making those semi-finals and finals. But last season you turned things around and made that final. What do you think the main differences were to transforming the side's fortunes and looking ahead to this season where you come into it as a real contender? Sometimes I think things just have to click. And our batsmen last year hit some really good form. Obviously, D'Arcy (Short) had an unbelievable year and we just had one of those players like D'Arcy who came out and won us a lot of games; if he made runs we generally won the majority of games. And that just allowed the other batsmen around him to play their own games and get into the tournament and at the back-end those batsmen starting to get into form as well. The year before that we struggled so last season we changed some things around and understood our group a bit better, and we knew what worked for us, what our winning formula looked like and stuck by that. And that's what we found out last year more than anything. Any teams you think will go well this season or will challenge you? I think all the teams are pretty strong, very competitive. It's about the team that starts off the best, that has that player that takes the game away from other teams early on, who will generally get on a roll early on. T20 cricket is such a momentum sport that once you get on a roll, it's hard to get knocked off. Honestly, it's difficult to say any team, in particular, will do well. But the Strikers will again be a force, as they usually have been, and their squad hasn't changed much. We've also seen any team is capable of winning it; the Scorchers have been the benchmark the last few years and they were beaten by the Renegades the other night so all the teams really do have a chance. You've been in the T20 squad for a few seasons now with the Hurricanes. Having made the move from Victoria to Tasmania this season, how are things going with you in terms of your one day and four-day cricket? Outside of T20, it's been going okay. I had a couple of opportunities to play second eleven cricket (Tasmania Second XI) which I didn't expect to happen and didn't I bowl as well as I would have liked in those games. But Adam and the coaching staff have been very supportive and said if I'm bowling well and taking wickets there is no reason why I won't get another opportunity to play some four-day cricket. So I just have to ensure when my opportunity does come I take it. The first game of the tournament for your side is against the Heat in Brisbane. Is the team looking forward to it and the season ahead? Matthew Wade said some good things the other day and noted it will be a long season (14 matches in all, compared to ten last year) so we want to be up for the game but don't want to be too hyped, just nice and relaxed and get into the tournament. We don't want to peak early on and then get to the back-end and be tired, spent and mentally fatigued. We just want to ensure we play our roles, doing all the right things and playing the percentages. And if we lose a game we lose a game, but at least we will be doing it playing it our way.